Press TV – Iran saw the number of Westerners visiting the ancient country with a treasure trove of historic artifacts grow more than five percent last year, data provided by leading travel intelligence analyst ForwardKeys show. “I expect visitor numbers to increase, so long as Iran’s airport capacity can keep pace,” Fox News quoted him as saying in an uncharacteristically positive article by a broadcaster which is known for its anti-Iranian policy line. Iranian mosques with their breath-taking architecture are some of the most exquisite in the world. Iran is among the world’s top potential tourist destinations with a variety of ancient sites, including 17 places listed by the UNESCO. Nikola Kosutic, head of research for the Middle East region at international market research firm Euromonitor, described Iran “a bright star” with its magnificent offerings of adventure, archeology and art. “The potential is enormous, Iran is likely to become the leading tourism market in the Middle East and North Africa region, providing the infrastructure is able to develop and cope with changes,” Kosutic said. 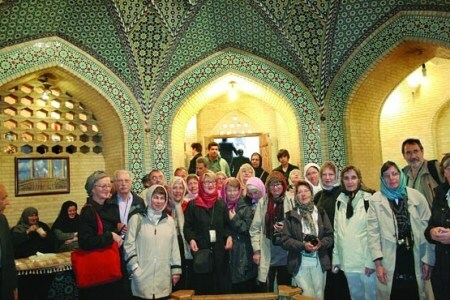 According to a biannual report by the World Economic Forum (WEF) for 2017, Iran was the most affordable tourism destination for the third year in a row, where local foods, teas, Persian poetry books and nomadic carpets cost little. Meanwhile, Iranians of all ages and backgrounds are heralded for their hospitality and the country is one of the most secure in a region ridden with violence. Crime rates remain extremely low, and terrorist attacks are very rare compared with much of the world. Since the conclusion of nuclear talks with an agreement, hotel groups from Europe and Asia have repeatedly visited the country in the hope of setting up shop. The French Accor Group, the UAE’s Rotana and Spain’s Melia are some of the early comers. With a history known for religious diversity and tolerance, the country prides itself over some of the most ancient Christian churches and Jewish temples. Medical tourism is also the country’s special treat through a variety of hot springs bubbling at the foot of a once-volcanic range in northwest Iran. Iranian Christians pray during New Year Mass at the Vank church in the central city of Isfahan, January 1, 2012. State officials have said they wanted to annually attract 20 million tourists by 2025 in order to generate $30 billion of revenues as the country seeks to wean itself off the oil money. According to ForwardKeys, there have been ten new flights per week into Tehran from Europe and the United Kingdom over the past year, making travel smoother and simpler. The total contribution of travel and tourism to the country’s GDP in 2016 was 7.7%, and it is expected to rise some 4.9% in 2017. Tourism revenues over the past year grew 11% to more than $8.3 billion, during which 5.5 million foreign travelers visited the country.